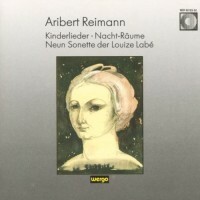 Aribert REIMANN: Nacht-Räume (1988). Yeree Suh (s), Dimitri Vassilakis & Sébastien Vichard (pf). Philharmonie, Paris, 13 February 2015. Eighty next year, Aribert Reimann has enjoyed parallel lives. Once a collaborative pianist of repute, not least with Dietrich Fischer-Dieskau, he was a composition student of Boris Blacher and has amassed a varied catalogue along the way. Orchestral works and chamber music figure in it, sure, but the voice is, as expected, the core. The operas remain unknown to me, except for Lear. Nacht-Räume, which Christine Schäfer was first to sing and record (Wergo WER 60183-50), is neither song nor song-cycle. Indeed, it is mostly not a vocal composition at all. The opening two-thirds of the piece are given to interplays between the pianists, often operating near extremes of registers. Into this unsettled foundation a voice stumbles, incapable of uttering a lucid word. Melismas stretch out. At last, a snippet of Rainer Maria Rilke is rendered, above tentative touches: Sieh hinauf. Heut ist der Nachtraum heiter. The music conveys less the serenity of this nocturnal space and more its enigmas and unfathomability. Instead of a fragmentary setting of a scrap, Reimann has given it a context, its own space to expand and contract. A night piece of the utmost meaning. A restless reminder of restful longings.